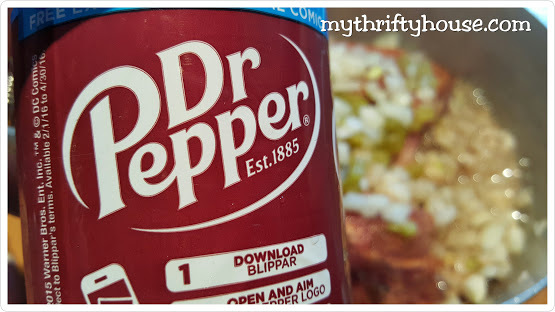 You wouldn’t know by the size of the sandwich on my plate that I don’t normally like meat, much less pulled pork, but this Dr. Pepper Pulled Pork recipe has completely changed my mind on the “other white meat”. It has quickly become a family favorite with no leftovers for lunch the next day. This post contains affiliate links and you can read my full disclosure here. 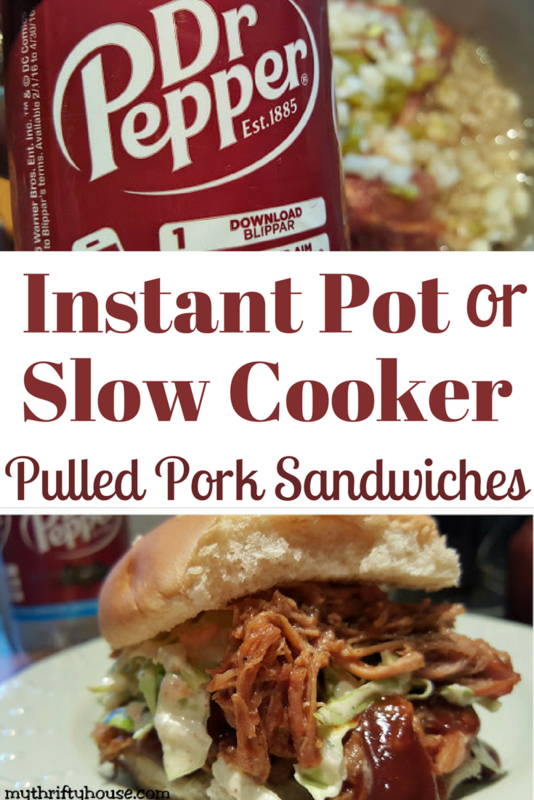 I originally wrote this recipe with instructions on how to make shredded pork in the slow cooker but I have since become a die hard Instant Pot lover. 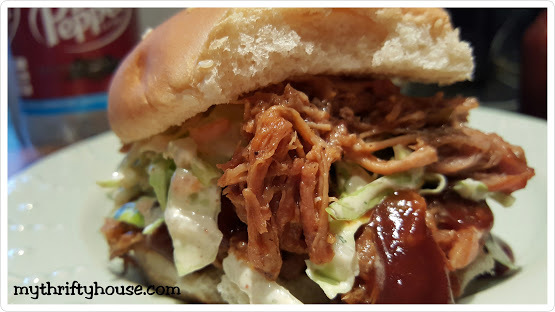 It was only natural that I test out my favorite pulled pork recipe in the pressure cooker and it’s no surprise that it turned out just as awesome as it did in the slow cooker with the benefit of cutting down the cooking. Shred pork with 2 forks and add BBQ sauce. If needed, add some of the reserved juices. Drain and reserve any extra juice from the crock pot. Shred pork with 2 forks and cover with BBQ sauce. If needed, add some of the reserved juice. 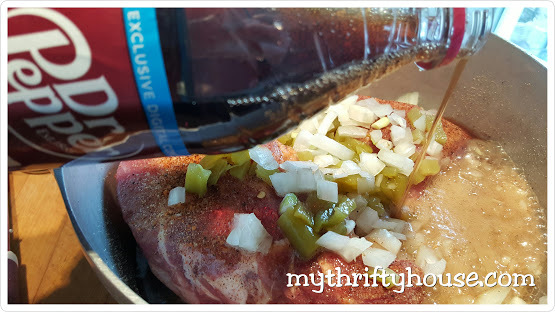 This entry was posted in Dinner Recipes, Instant Pot & Slow Cooker and tagged meal plan. Wow, that looks so yummy and crock pot meals are the best! I’ll definately be checking out your meal plans for inspiration since that’s an area I’m sorely lacking in. I love pulled pork. Have not tried this recipe before but definitely will. Thanks for posting it! This looks delicious! Thanks for sharing with us at Instant Pot Link Party #3! Thanks for sharing at our slow cooker instant pot link up party. I hope that you will join us again tomorrow 5/17/17 for our next party. This looks so yummy! Oh my goodness this looks delicious! 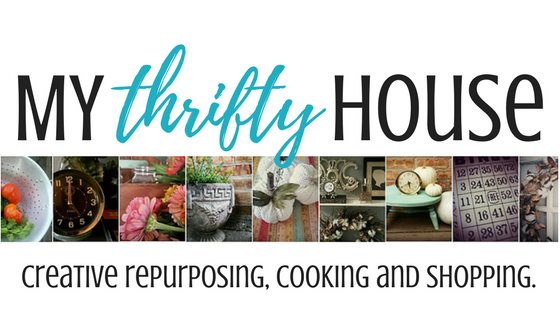 Thanks for sharing with us on Whisk It Wednesday link party! Pinned and shared! It is so very delicious. I made this recipe last night and the meat was so tender. It just fell apart and the flavor was great. Definitely will make this again. Thanks for the feedback, Peggy. I am so glad you enjoyed it.